Categories: books, news | Tags: award winning novels, cheap kindle books, Christine DeMaio Rice, david gaugrahn, David McAfee, ebook sale, John A.A. Logan, Kristine Cayne, Michelle Muto, Moses Siregar III, tara west, Tonya Kappes | Permalink. 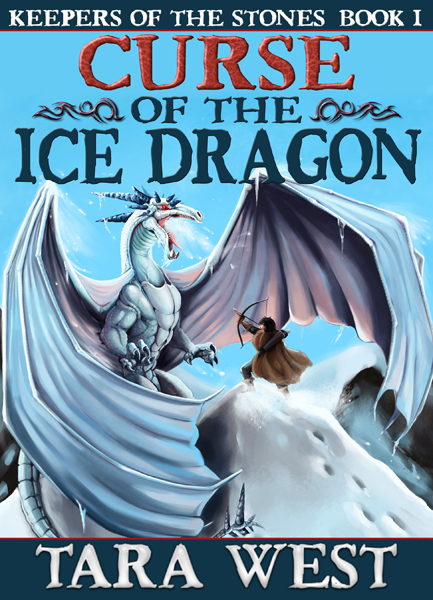 Dear readers, I’m nearly finished with Curse of the Ice Dragon. Then, it’s back to my Whispers series. So sorry this is taking me longer than I’d anticipated, but summer got in the way, and I’m only able to write a thousand words a day. In the meantime, I’m looking for beta readers for my fantasy. Any takers? Oh, and thanks for the fan mail. I LOVE to hear from my readers. And if you’d like to follow my updates on FB, here’s my page. Before I go, here’s the blurb for Curse of the Ice Dragon. And of course, I have to show off this amazing cover one more time. THANKS Littlemeesh from Deviantart. Born with mark of the Mighty Hunter, Markus saves his village from the brink of starvation –for whenever he releases an arrow, his aim is true. But for all of his skill and strength, Markus doesn’t dare stand up to his abusive father. Shamed by his cowardice, he seeks distraction by needlessly shooting the forest creatures. The village prophet warns Markus that the Ice Goddess will unleash The Hunter’s Curse. For every animal Markus kills, a person he loves will suffer the same fate. When Markus takes no heed, The Goddess unleashes her ice dragon. Now Markus must flee the dragon without killing it … or his beloved brother will be the next to die. Categories: books | Tags: Curse of the Ice Dragon, fan mail, sophie's secret, tara west, whispers series, ya fantasy, YA fantasy author, ya paranormal | Permalink.